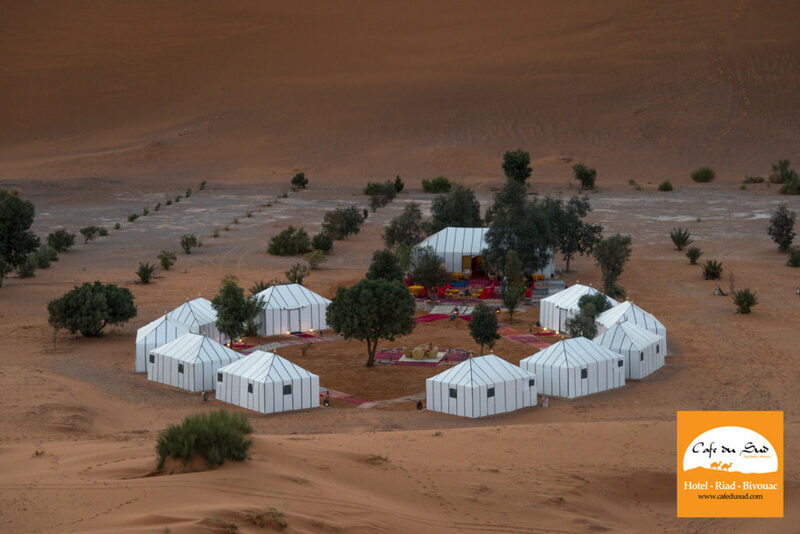 Erg Chebbi Dunes are located in South East Morocco, on the edge of the Moroccan / Algerian border. This place of intense beauty receives travelers since the late 1980’s and it is said to be one of the most beautiful regions in the world. 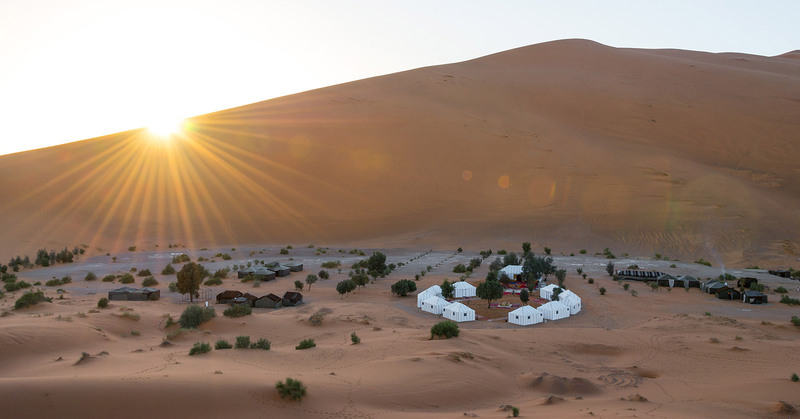 Bivouac Café du Sud is located inside this mythic sand dunes. 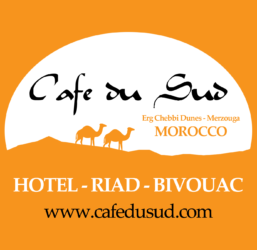 The closest locality is the famous and traditional village of Merzouga. 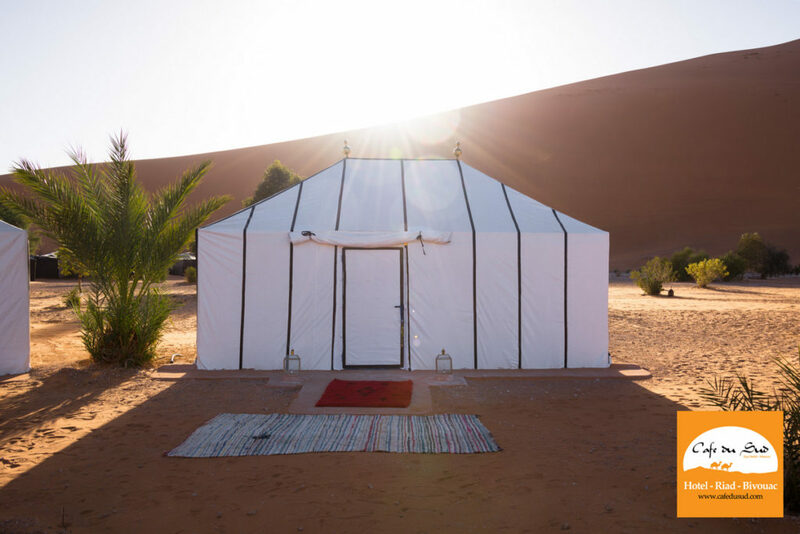 The location of the desert camp, isolated in the dunes, makes it the perfect site to serve as a base of exploration of the Sahara Desert in Morocco. Discover this oasis of intrinsic exotism and natural charm. Welcome to the Sahara Desert. 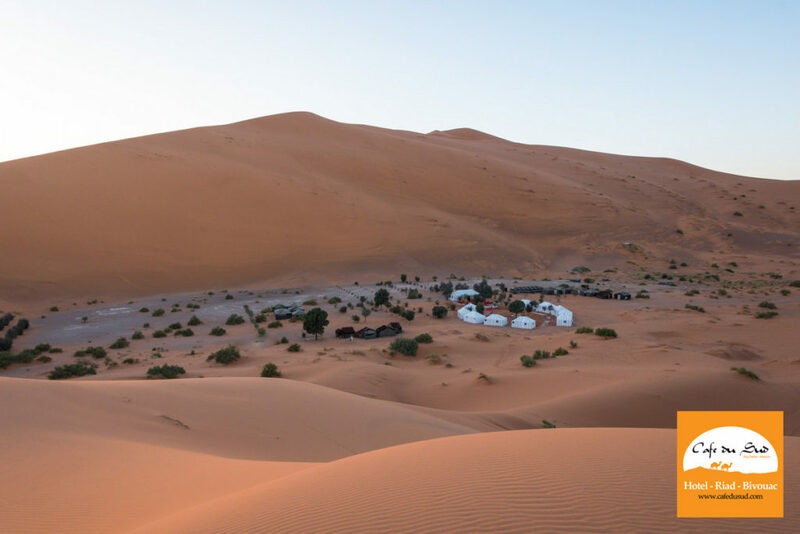 The amazing dunes of Erg Chebbi for an unreal stunning picturesque scenery. 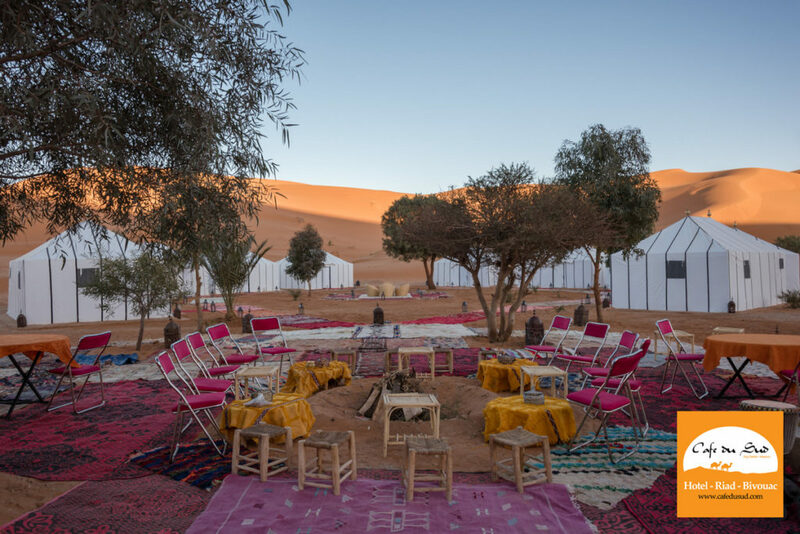 Indulge yourself to spend a few days in our company, we guarantee to make your trip to the desert, one of the best holidays of your life. Promise! “Dawn does not come twice to awake a man“.